Speakers Pablo A. Garcia-Chevesich Ph. 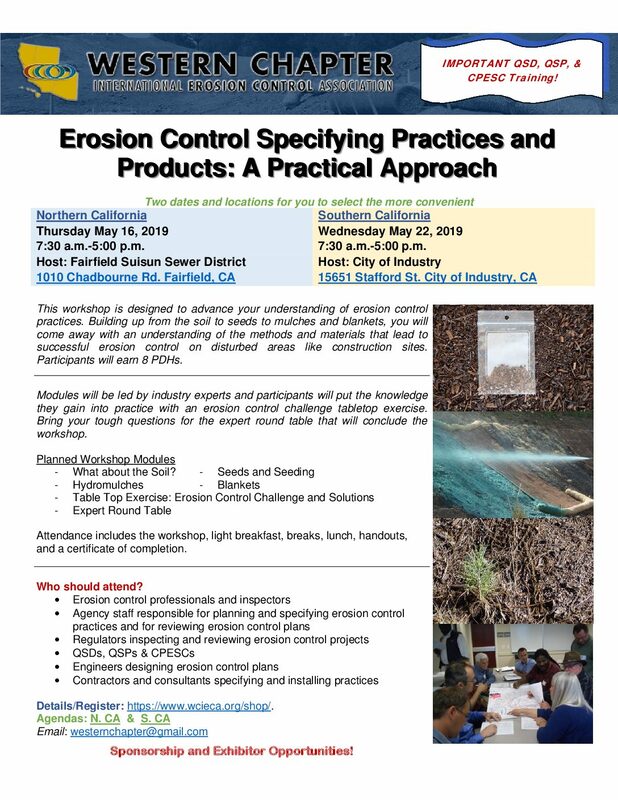 D., Professor Al Brown, Lou Snow, Chris Marr & Dennis Delamore will speak about dust control alternatives. 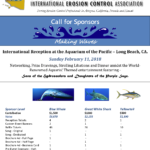 See speakers bios here! 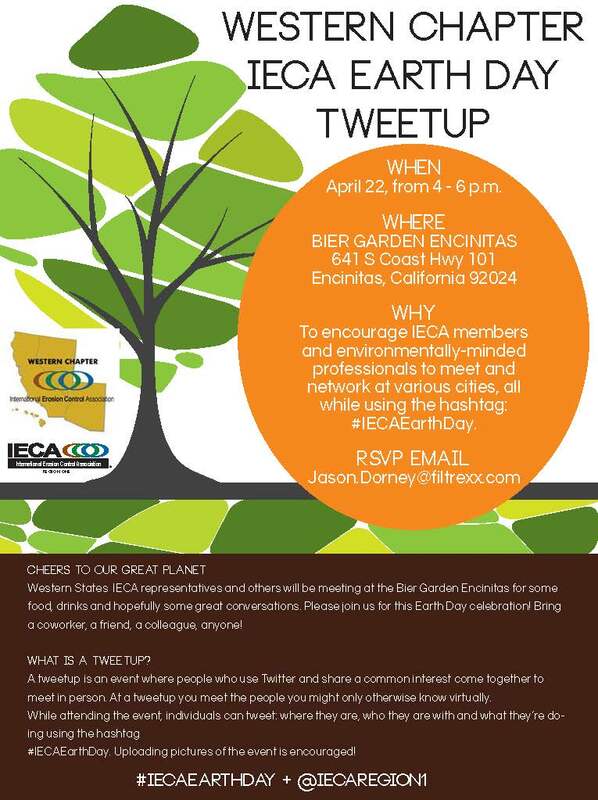 A panel discussion of professionals will focus on Maricopa County dust control measures (strictest in the state). Continental breakfast and lunch will be catered by Panera. Maintaining our Regional PM 10 Attainment Status – What will the challenges be moving forward? 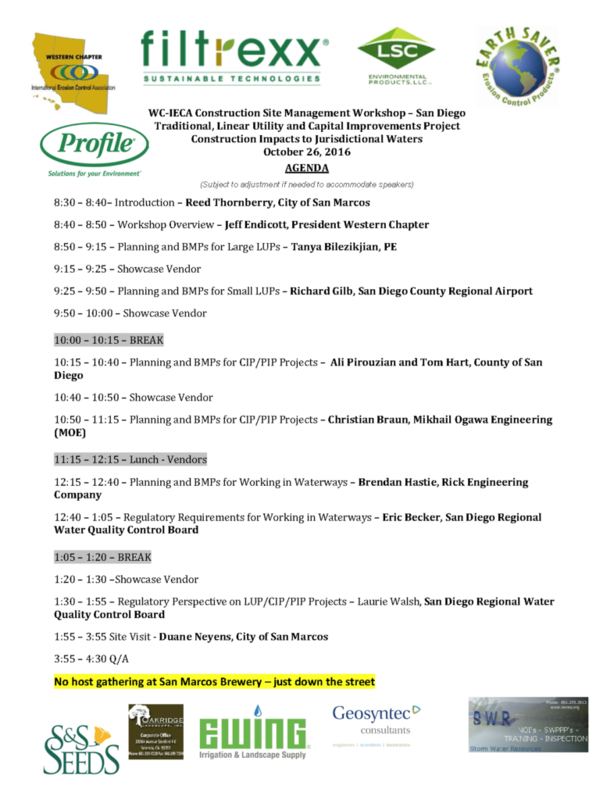 Questions Provided to Panelists for Preparation of the Workshop…. 1.Why is it important to Maintain PM 10 status? 2.How do you change your methods to Maintain PM10? 3.What challenge issues do you face? 4.How do you work together ? 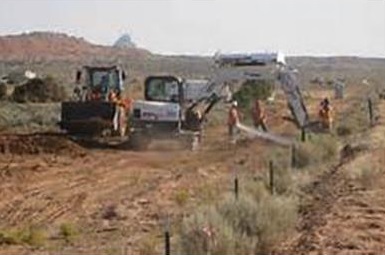 Beverly has over 18 years of experience in air quality and transportation planning for the State of Arizona. She currently serves as ADOT’s Air and Noise Program Manager under Environmental Planning, and is responsible for managing the Congestion Mitigation Air Quality (CMAQ) program, air permit and compliance, project level Air and Noise NEPA analysis and implementing any transportation control measures needed for transportation conformity or State Implementation Plans (SIPS). Beverly holds a Geology degree from Arizona State University and Masters in Public Administration in Community Planning from Northern Arizona University and as a sixth generation Arizona she enjoys spending time outdoors with family in South Eastern Arizona. 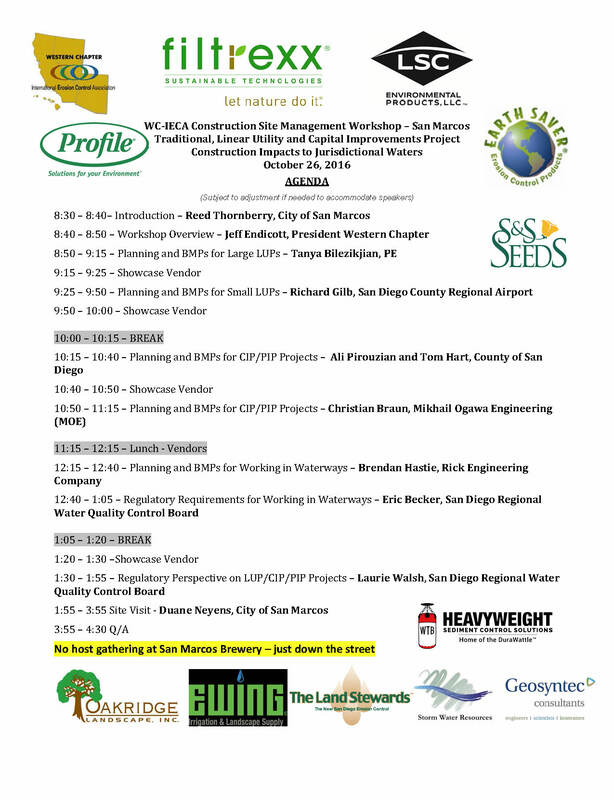 Audience: construction supervisors/workers, state and county supervisors, subcontractors, erosion and sediment control specialists, stormwater and erosion control specialists, principals, senior management, project/environmental/civil engineers, and compliance personnel. 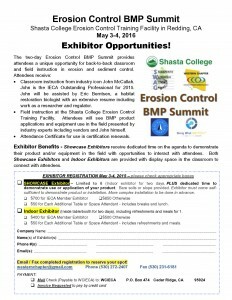 Exhibitors: Dust Control and Soil Stabilization product vendors. 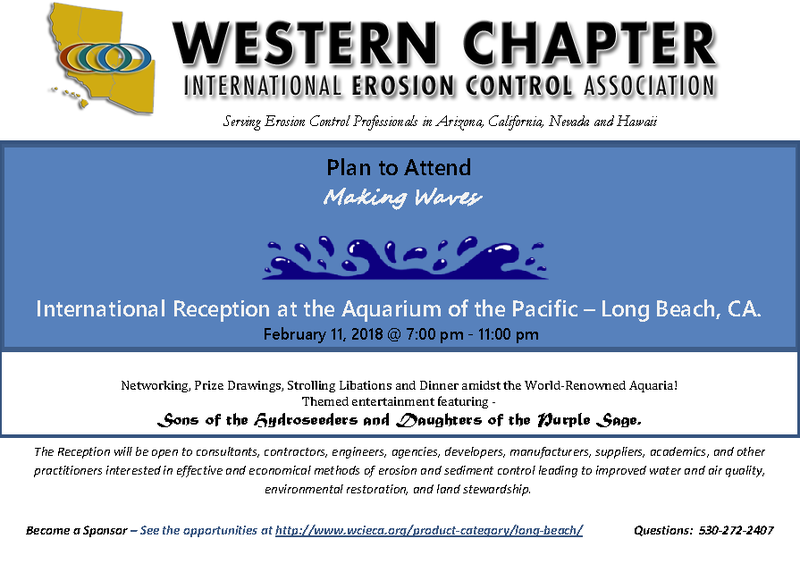 When received between January 24 and January 31 – Includes Certificate of Attendance, lunch, presentations, exhibit area, and handouts if applicable. No Registration at the Door – Online registration before the day of the event only! 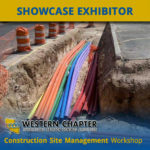 Get the ATTENTION your company deserves! 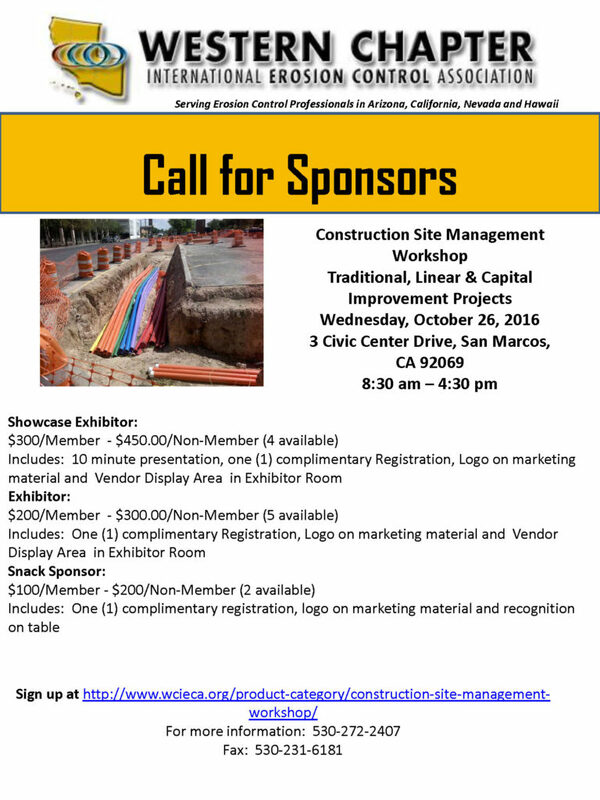 Become an exhibitor or sponsor at our next event. 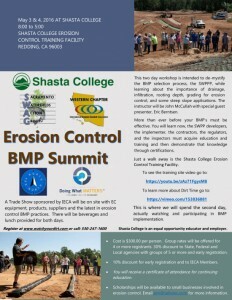 Offers classroom, field instruction, and hands on training of BMPs equipment, products, supplies and the latest in erosion control BMP practices at the Shasta College Erosion Control Training Facility. 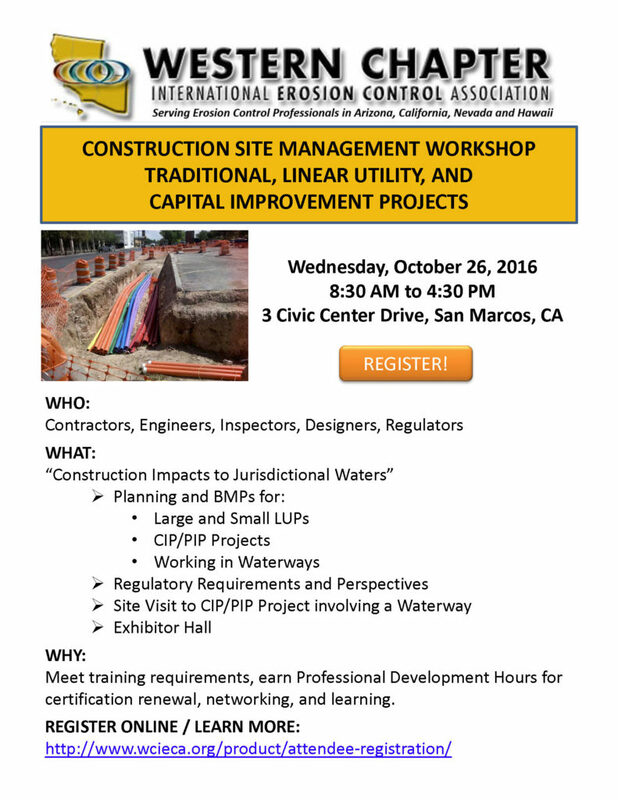 SWPPP developers, implementers, contractors, regulators, inspectors, utilities, road maintenance, parks/resource managers, land developers, engineers, home builders, landscape architects, government agencies, academics etc. Register for the workshop at www.watchyourdirt.com or call (530) 247-1600. The Red Lion hotel is holding 30 rooms (double queens) for us for the nights of May 2nd and 3rd for the State rate of $90 a night. Breakfast is not included (since our rate is so low, and breakfast is included with the workshop and served at the college). There will be a mixer at 3 Shastas Bar & Grill in the hotel Tuesday May 3rd after the first day of the Summit. 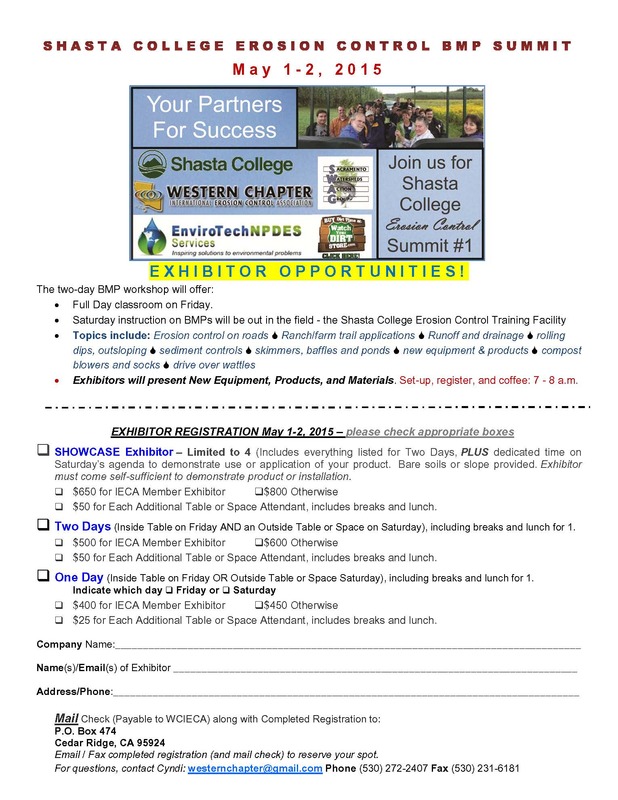 Here is the booking link: Shasta College Erosion Control. Book your room by 4/18/2016- note the extended date! 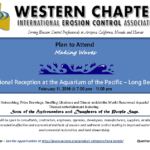 Any company with erosion/sediment control products, equipment or materials they want to show off – please click the following link or flyer.